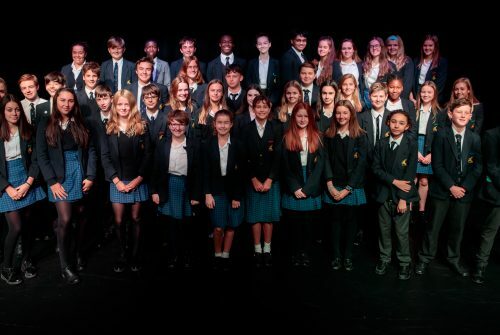 Colfe’s is celebrating another successful year of LAMDA (London Academy of Music and Dramatic Art) results. The exams – which took place over the summer – saw over 94% of pupils achieving a Merit or Distinction. 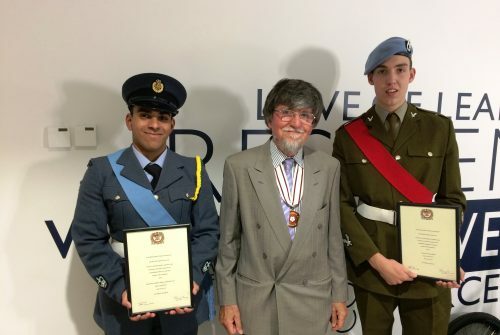 Congratulations to Old Colfeians WO2 James Green (2011-2016) and Cadet Warrant Officer Matthew Arawwawala (2011-2018) who have been presented with Lord Lieutenants Cadet Awards by the Deputy Lieutenant for the Royal Borough of Greenwich, Dr Pieter van Der Merwe MBE. 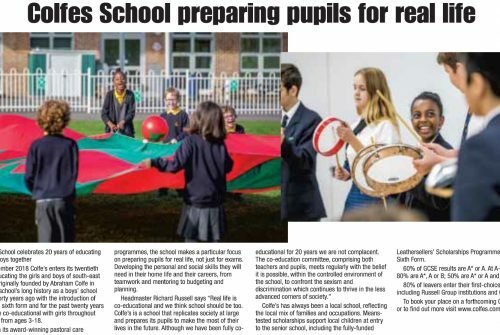 Press: Colfe's was featured in South London Press 'Focus on Education' supplement in an article that discussed the school's twentieth year of co-education. Press: Colfe's was featured in The Mercury's 'Focus on Education' supplement in an article that discussed the school's twentieth year of co-education. 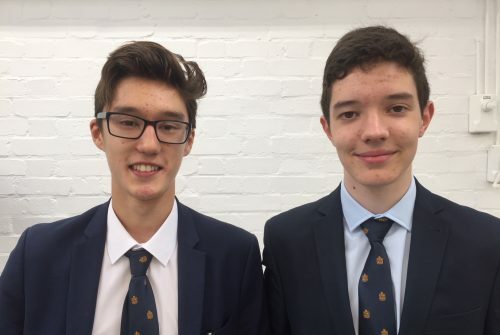 Two Sixth Form students have been awarded an Arkwright Engineering Scholarship, a prestigious opportunity given to scholars who have the potential to become future leaders in engineering. On 6 September, Old Colfeian Tom Gregory (1983 -1994) became and will forever remain the youngest person to swim the English Channel, mentored and driven on by an extraordinary local coach. Tom’s full story has never been told, until now.